Lucy has brought an undeniable vibe to her host employer which has helped develop a great working atmosphere and culture. 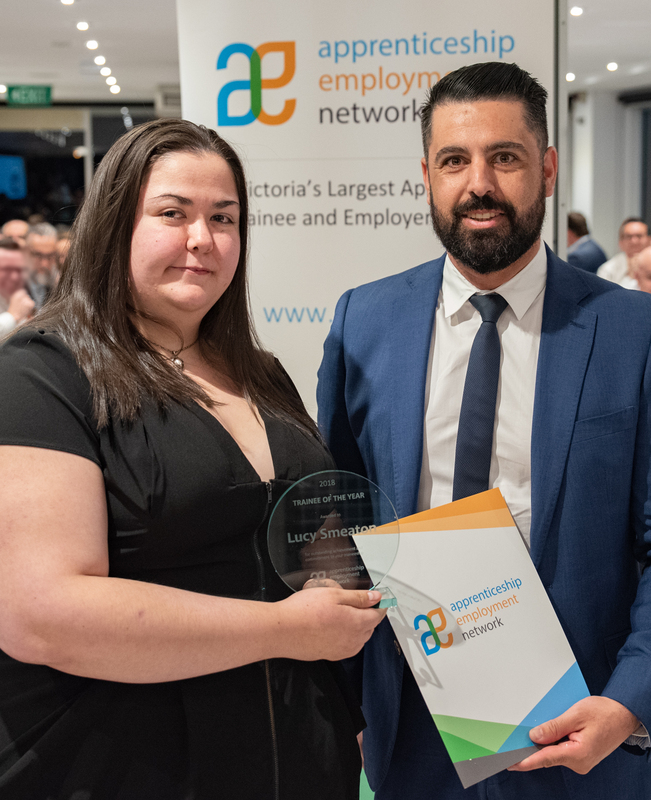 Lucy received an honourable mention with her nomination for AFL SportsReady Trainee of the Year (2018) and was also a Top 3 Finalist at the Victorian Training Awards. And in 2018 was awarded Trainee of the Year by the Apprenticeship Employment Network. Lucy was previously a carer for her ill mother before commencing her traineeship and has now become the full-time foster carer for her cousins two toddlers which shows Lucy’s caring and selfless nature. She is an inspiration and role model for other young Indigenous Australians. Lucy is committed to helping others realise their potential and delivered a speech to Indigenous school girls at a large Telstra store describing her vulnerabilities when she first started her traineeship and the positive growth and development she has experienced since. Her contribution to the Diversity and Inclusion Networks including trainee and network forums, actively supporting other indigenous employees has enable Lucy to build a reputation of being dependable, reliable and a valuable team member. Further to her professional recognitions, Lucy has several personal achievements to be proud of including two nominations for the Ricci Marks Aboriginal Young Achievers Award in 2014 and 2018.